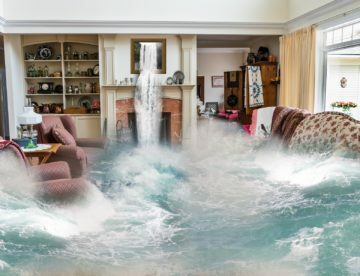 As part of efforts to encourage homeowners to take a proper action to protect their homes against basement flooding, subsidies are given to install flood protection devices such as the installation of a backwater valve and installation of a Sump Pump. The city of Toronto has a Basement Flooding Protection Subsidy Program which assists homeowners with a financial subsidy of up to $3,400 to install flood protection devices like a backwater valve and Sump Pumps. Related Article: What is Involved With Basement Waterproofing? Backwater water valve is a device usually installed in the underground pipes to prevent Sewer Backup and Flooded Basement in case of heavy rainfall or sewage clogging. Subsidies are given for the installation or replacement of backwater valve and installation of alarm for backwater valve. The subsidy available is 80% of the invoiced cost up to a maximum of $1,250 irrespective of the number of devices installed at the property, in addition to eligible materials, permit, and taxes. A building permit is always mandatory before a backwater valve is installed. The valve will be checked and certified by the government building inspector to qualify for the subsidy. Homeowners are required, at the time of the building inspection, to give access to the backwater valve to verify that installation has been completed in compliance with the requirements and conditions of the subsidy program. 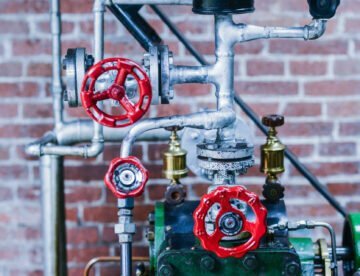 They are also required to allow the authorized inspector to take pictures, video, and digital images of the backwater valves. A Sump Pump is a flood protection device used to drain excess water that gathers around the foundation of a home. The pump intercepts the groundwater collected by the weeping tile and drainage material around the foundation and pumps it elsewhere. A sump pump system includes everything that helps to keep the basement dry including a secondary emergency battery backup pump. Flood protection subsidies also cover the installation or replacement of a Sump Pump, installation of alarm for the Sump Pump, and installation of backup power for the Sump Pump. The subsidy available for a Sump Pump is up to 80% of the invoiced cost up to a maximum of $1,750 irrespective of the devices installed at the property, including eligible materials, labor, permit, and taxes. 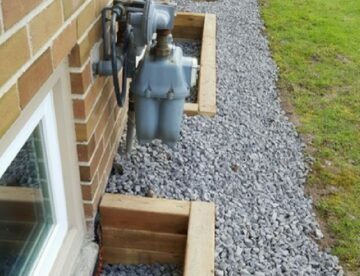 What is a Downspout Disconnection? Disconnecting the downspout attached to the house to discharge to the lawn or garden significantly reduces the amount of runoff that drains into the sewer system to lessen the risk of Sewer Backup and Flooded Basement The available subsidy for disconnecting downspouts from the sanitary sewer is up to 100% of the eligible costs up to a maximum of $500. To find out more about how you can protect your home against basement flooding, check out our Basement Waterproofing services such as Internal Waterproofing, External Waterproofing and Sump Pump Installation. Related Article: What is Sewer Backup Protection? What is Drain Repair by Excavation? What is Involved with Downspouts Disconnection?